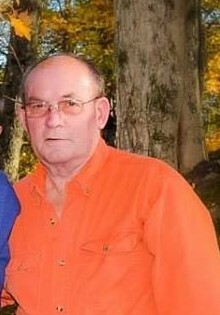 Ruben Burton, JR, age 66, of Vancleve, KY passed away on Thursday, March 28, 2019 at the Hazard ARH.- He was born September 28, 1952 in Wolfe County, KY and was the son of the late Ruben and Imogene (Smith) Burton, SR.- He was also preceded in death by three brothers: Bobby Ray Burton; G.C. Burton and Charles Lee “Bear” Burton.-Ruben was a retired KY Department of Highways employee and United States Air Force Veteran.-He is survived by his wife: Pauletta (King) Burton of Vancleve, KY-Three daughters: Trisha Lynn (Justin) Powell of El-Dorado, Kansas; Stephanie Nicole Burton (Logan Shane Combs) of Georgetown, KY; Heather Dawn (Harold) Spencer of Vancleve, KY.-One granddaughter: Isabelle Grayce Spencer.-Three grandsons: Nicholas Jaggar Burton; Austin Ross Powell, Wyatt Daniel Powell.-One great granddaughter: Charlotte Rose Lee Powell.- Three sisters: Margaret (Johnny) Landsaw of Gilmore, KY-Joyce (Don) Ely of Campton, KY-Wanda(Larry) Landsaw of Gilmore, KY-Three brothers:Freddy Paul (Carol) Burton of Owensboro, KY -Stanley (Michelle) Burton of Gilmore, KY; David Darrell Burton of Gilmore, KY.-Funeral services will be held on Saturday, March 30, 2019 at 1:00 PM at Deaton Funeral Home Chapel with David McIntosh officiating.-Burial in the Burton Cemetery at Gilmore, KY.-Visitation will begin on Friday at 5:00 PM.-Deaton Funeral Home in charge of arrangements. : Pallbearers: Harold Spencer, Jeff Spencer, Logan Shane Combs, James Burton, Mackie Richerson, Jim Marshall; Raymond Spencer.-Honorary Pallbearers: Vancleve Fire Department Members and New Light Community Church Members.